Sites@Duke: How do you combine multiple course enrollments into a single site? Many faculty teach multiple sections of the same course, or want to share the same materials with different courses. Using Duke Toolkits, faculty can add other course enrollments to any course site they’ve already created. 1. 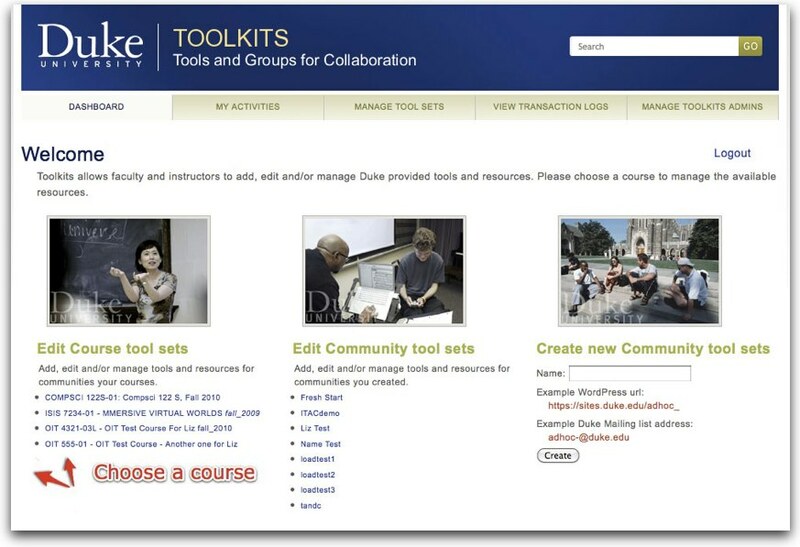 Login to Duke Toolkits and select the course site you want to add other enrollments to. 2. Click ‘Extend access to another course‘ from the menu on the right. 3. Choose the courses that you want to add to the current site, and click ‘Add’.